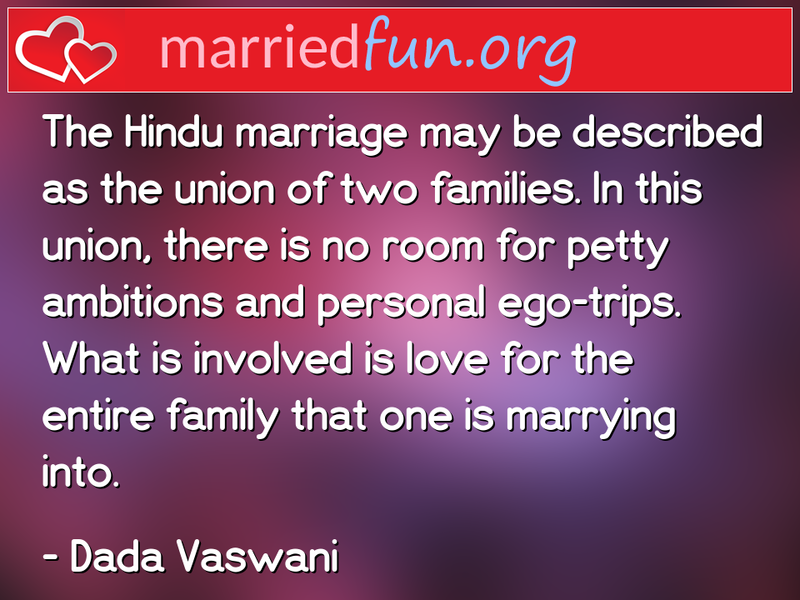 Marriage Quote - The Hindu marriage may be described as the union of two ... - Married Fun! The Hindu marriage may be described as the union of two families. In this union, there is no room for petty ambitions and personal ego-trips. What is involved is love for the entire family that one is marrying into.